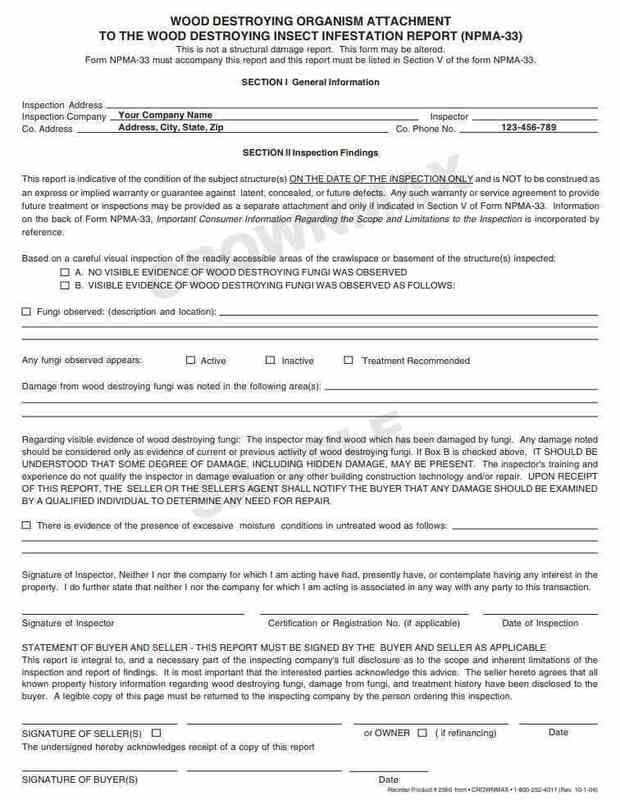 This attachment was designed to comply with the states that have requirements that organisms be insepcted for and reported on. This is not a structural damage report. Once form is completed it can become an attachment to be listed in Section V of NPMA-33. Printed in Black Ink only on 3 – Part Carbonless (all white copies) paper. 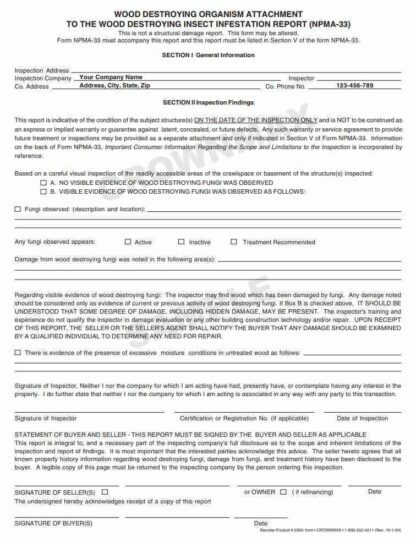 Imprinting available on this form for an additional fee. 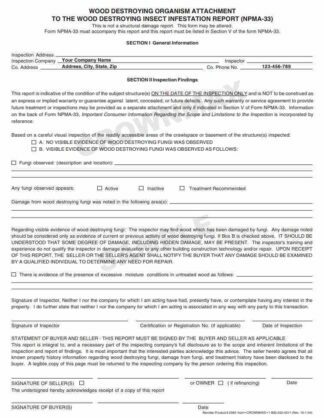 Minimum order for imprint 100 forms = 4 pkgs (25 forms per pkg). Listed under quantity choice below with imprint charges already included for easy choosing. If you have any questions please give our customer service a call 1-800-252-4011.